The Virtual Stage team is proud to have Zipp3D be our premier distributor for our flagship product, the Vantage S3D. The Vantage S3D is a state-of-the-art virtual staging platform which focuses on quick and efficient production of virtually staged photos. Virtual Stage understands the emerging technologies of today because we have been working with them since the beginning. We help you improve the efficiency of what you do today, and through those activities, we introduce your enterprise to lower costs, increased revenue and even new opportunities. Pilot Holdings is an investment holding company which has vast business expertise in China from fund raising, investment management and M&A. We work with global partners in a broad range of sectors, with special focus on Commercial Real Estate, Education & Sports, Tourism Estate, Culture and Media. Our Vision is to blend Chinese and Western culture for greater prosperity. Our mission is to maximize client opportunities and strengthen our partnerships. Pilot Holdings is a seamless international bridge connecting culture and diverse business investments. DREAMS Luxury Network connects the most affluent buyers in California, Nevada and Arizona with luxury lifestyles, people, places and brands. Our Network partners are the icons of luxury lifestyles from estates, autos, travel, jewelry fashion, investments, and innovative entrepreneurial endeavors. DREAMS Luxury Network connects affluent buyers through an integrated platform of luxury print magazine, personal connections, business networks, emails, social media and VIP events. LEI Partners engage with select owners and developers of luxury developments who seek to enhance the profitability of their projects. We bring the value added services of integrated strategic planning, enhanced design, unique and targeted marketing and sales. With exceptional track records of national and international prominence, the LEI Partners combined experiences and projects span the luxury markets from Beverly Hills, Malibu, Scottsdale, Hawaii, Mexico, Las Vegas, Utah, Colorado, Miami, Europe, New Zealand and other major luxury resort areas with total sales transactions exceeding $5 Billion. Innovation and leading the market is the hallmark of LEI Partners. Commonwealth serves industrial facilities throughout California and provides turnkey line installation and integration, including: PLC programming, mechanical, and electrical. 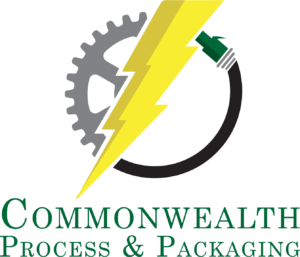 Commonwealth is a proud machinery design, manufacturing, installation, and maintenance facility. Commonwealth is proud to have also partnered with ABB, a leading supplier of industrial robots and robot software, equipment and complete application solutions.. As an approved ABB Robotics Value Provider: Commonwealth is here to solve the most challenging packaging or pick and place application requirements. We are supported by the industry leader and a company we have all come to know and trust.